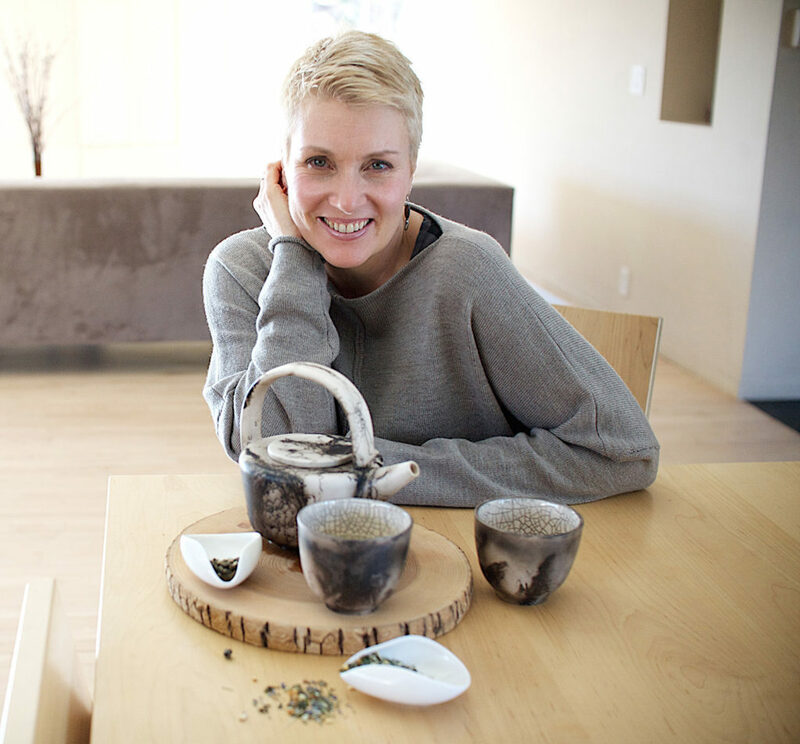 A certified holistic health coach, raw food chef and instructor, Katie McDonald founded bnourished in 2011 with a goal of transforming peoples’ lives, after she experienced a number of illnesses that left her depleted and depressed. Since developing and applying her program, McDonald reports being symptom-free for nearly a decade. Trained at the Institute of Integrative Nutrition and the Natural Gourmet Institute in New York City, McDonald spoke with Providence Business News about bnourished. PBN: Explain how bnourished works with clients, and how does your approach differ from that of other holistic coaches? MCDONALD: My clients come to me because they want lasting change in areas where they have been stuck. Over the course of a period of six months, we form a partnership with the sole purpose of their attaining a higher level of well-being. They achieve that ever-elusive peace of mind that comes from living deliberately. During the 12 sessions, we focus on the habits of food, thoughts and time. Food is essential for mental clarity and vitality so we can make other needed changes in our lives. The 90,000 thoughts we have per day with over 90 percent of them being repetitive, shape our reality. We explore whether the current thinking is supporting or undermining the goals. Finally, we all have the best of intentions but without a mastery of time, we will make no significant progress. Goals never graduate from the wish status without a thoughtful, clear strategy for daily implementation. Online and tangible tools for accountability, menu planning, access to me throughout the six months, tested and true strategies customized for each client, vast and curated resources gathered over three decades of study and my contagious passion for helping people be their best selves are what distinguish bnourished from other practitioners. PBN: bnourished offers one 30-minute session to prospective clients at no charge; how does that business model work for you and what do you typically charge your clients? MCDONALD: I offer one complimentary session for prospective clients because the client-coach relationship is an intimate one. During the six months, we explore every aspect of their daily lives and they need to trust me, to lean into our work with the full confidence that they are in the right hands. I also need to know that the person considering working with me is someone I can help reach heights of well-being never known before. I am not for everyone, nor do I choose to work with everyone. In fact, I only take on 10 clients at a time so I can devote my full attention and energy to each one. My fee for six months is $4,500 and clients consider it one of their most rewarding investments. PBN: Describe the interrelationship between a client’s emotional health and physical health and how you address both of those components? MCDONALD: We are what we eat, what we think, and what we do, which is why my coaching focuses on food, thoughts and time. For many of us, our emotional lives dictate our daily choices. We are stressed, so we grab a cookie. We are frustrated, so we pour another glass of wine to dull the edges of the day. My clients and I work to honor their emotions while understanding that their emotions are not in charge. Rather than react to life stresses in ways that often undermine our goals, we create a space between “re” and “act.” There, we can make deliberate and empowered choices about how to manage our emotions in constructive, rather than destructive, ways. Learning how to pause throughout the day is one of the most powerful ways of gaining a sense of mastery over our lives. Asking “what do I need?” instead of “what do I want?” can transform us, help us survive our impulses and make true progress. PBN: What kinds of food does a raw food chef prepare? Do you prepare meals for bnourished clients? MCDONALD: I became a raw-food chef and instructor because I was sick and needed to heal. While I am not a doctor or a trained nutritionist and everybody is unique, I know that eating raw plant foods helped me heal from ulcerative colitis, irritable bowel syndrome, asthma, allergies, depression and anxiety. I am completely symptom-free and have been for more than 10 years. Raw food is simply plant foods that are not heated above 108 degrees, so as to preserve the nutritional integrity of the food. I am not on a mission to convince clients to go raw. Instead, I guide them toward learning which foods make them thrive. The majority of my clients are omnivores who now easily and happily eat more plant foods than they did before. We all know we need to eat more vegetables, but few know how to do it without feelings of deprivation. My clients become empowered to enter the kitchen again with a deep understanding of the connection between what they eat and how they feel. They discover that they have far more mastery over their energy levels, mental clarity, productivity and physical stamina than they ever thought possible because they learn which foods make them feel great. The goal is not to labor in the kitchen for hours on end. The goal is to interact with your food without intimidation and with respect for its role in your well-being. I do not cater or prepare meals for clients. Instead I teach them how to menu plan, shop and prepare simple, nourishing meals that energize and restore them. PBN: Does bnourished have a typical client? Who do you help and how? MCDONALD: I serve two types of clients. First, the executives or entrepreneurs who are taking exceptional care of business, but often at the expense of their own health. They may have some symptoms that distract them from their work, but mostly they sense that they are not at their best. They know they need to eat better and make lifestyle changes if for no other reason than they have big goals they want to accomplish and their current level of self-care will not get them there. They are highly accomplished people who are a few meals, a few drinks, a few sleepless nights away from burnout. They know they cannot keep doing what they are doing (or not doing) and get away with it. These clients are best served by the brestored program, which addresses the reality of the pace of their lives and restores them to a new level of vitality and peace of mind through strategic habits. The others are those who suffer from caring for everyone and everything else. They are rushing to tend to the endless to-do list that never gets done. They may suffer from anxiety, depression and digestive issues, and know that something has to give. They often crave and rely on sugar to fuel their days and it is no longer working for them. They are ready to learn what it takes for them to be at their best. This program, btransformed, empowers clients to define and implement their unique life prescription.